Rosalyn Sussman was born on July 19, 1921, in New York City to a second­ generation immigrant family in the Bronx. Her parents had little education but worked hard to provide for the family and recognized the value of school for their children. Sussman attended local schools and eventually went to Hunter College in New York City, graduating in 1941. During these years she became enthralled with science, particularly the new field of nuclear physics. With World War II beginning, many graduate fellowships held by men became available. In 1941 Sussman was offered a teaching assistant position at the University of Illinois, providing her the means to pursue her doctoral degree in physics. While there she met another young doctoral student, Aaron Yalow. They married two years later in 1943. She received her degree in nuclear physics in 1945. After several jobs in teaching and research, Rosalyn Yalow began working at the Bronx Veterans’ Administration Hospital. There she began a long collaboration in nuclear medicine with physiologist Solomon Berson. From 1950 to 1972, this was a formidable partnership: her nuclear expertise complemented his medical background. Together, in 1959, they developed a new technique for identifying and quantifying the presence of both biological and chemical substances in the body, a process known as radioimmunoassay. Their new technique enabled them to draw a fluid sample and subject it to radio actively ­tagged antigens, foreign substances to which the human body reacts by producing antibodies to neutralize them. The degree of antibody bonding could be calculated and compared to a known sample. Using the body’s immune system in this way was revolutionary and incredibly precise, allowing small traces of substances—as small as 0.000000001 grams—to be detected. Initially Yalow and Berson used radioimmunoassay to investigate levels of insulin in adult diabetics. Later they worked long hours together developing new applications for it. Berson died unexpectedly in 1972, leaving Yalow to work on her own. Yalow was awarded the Lasker Prize in basic medical research in 1976, the first woman to be so honored. In 1977 she was awarded the Nobel Prize for Physiology or Medicine for the development of radioimmunoassay. The prize was shared with two other researchers who had used the technique in their work. Yalow continued research until retiring in 1991. 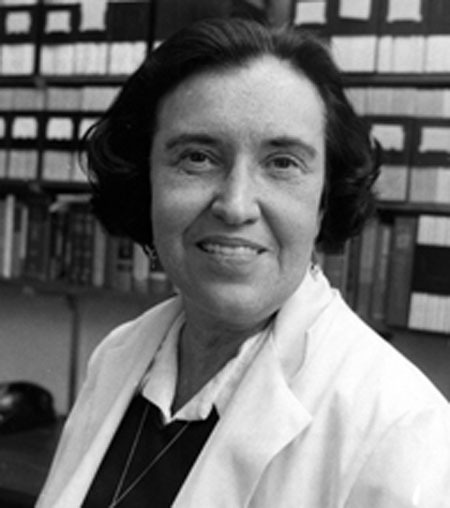 Rosalyn Yalow provided the medical research community with a powerful tool. Her technique of radioimmunoassay has been described as the most innovative method in physiology since the invention of the X­ray machine. Her initial work on diabetes prompted new theories on how the body reacts to insulin in adult diabetics. It had been previously thought that the insulin molecule was too small to trigger an antibody response; radioimmunoassay’s precise and acute detection capabilities proved those ideas false. The radioimmunoassay method has been adapted to many uses. It can detect small traces of poison in bodies that have been buried for years. Forensic science now uses this technique. Testing for exposure to chemicals or drugs can be done through blood or hair samples. One reason for the rapid spread of this invaluable technique may be that Yalow and Berson declined to patent it, sharing it with other scientists. Yalow’s contributions to medical science can not yet be fully measured because new applications continue to be developed. Nevertheless, Yalow seeks to make a difference, even during retirement. She lectures on science education and is a role model for young women, promoting the role of women in science.